You only have two weeks to get all your holiday shopping done if you have a Christmas deadline. At this point in the holiday shopping season your bank account might be getting low, so we came up with ten gift ideas aimed at PC gamers that cost under $25! Hopefully our list of worthy and affordable buys will help you find the perfect gift for friends, family and co-workers. Do you know someone that plays Overwatch? Overwatch now has over 20 million players worldwide and you can’t go wrong with this plush toy. It also is perfect for Drop Claw fanatics! This adorable plush squeaks like in the game, is well-made, and overall a great value at $20 plus shipping at the Blizzard Gear store. The great news is that no gamer will be upset if they get more than one of these, so it’s a very safe purchase for someone you know that plays Overwatch. 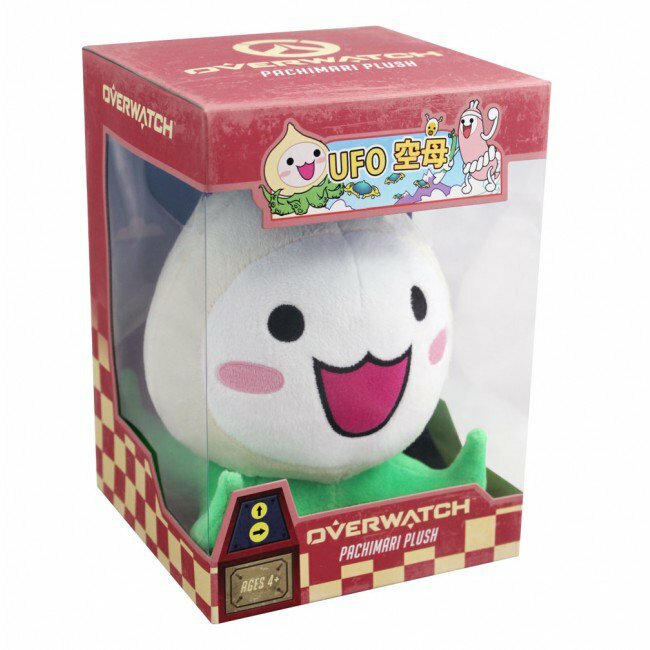 Blizzard also sells mugs, t-shirts, water bottles, calendars, beanies, scarfs and other plushes for under $25 that are all Overwatch themed. The last day for standard shipping on the Blizzard Gear Store is December 19th to get it in time for December 25th. Do you someone that needs serious cable management help? 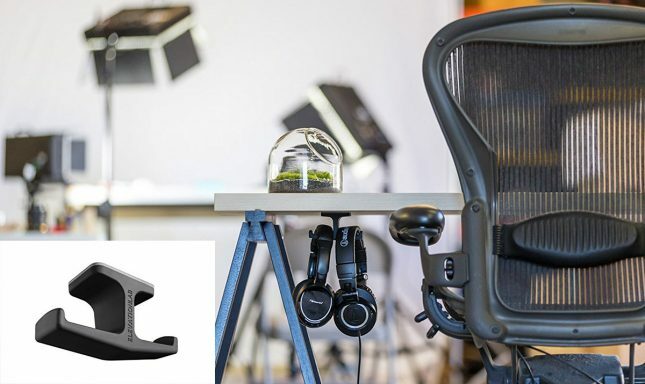 The JOTO Cord Management System is nothing more than a flexible neoprene cable sleeve that conceals multiple cables and will transform any gaming desk from a mess into a tidy area in seconds. Just gather the cables together, wrap the sleep around them and use the zipper to zip them all up. This also works well for home entertainment systems, console gaming systems and even VR setups. You get four 19 to 20 inch wraps for $14.99 w/ free shipping at Amazon and they have a 4.8 out of 5 star rating out of over 1,500 customer reviews. 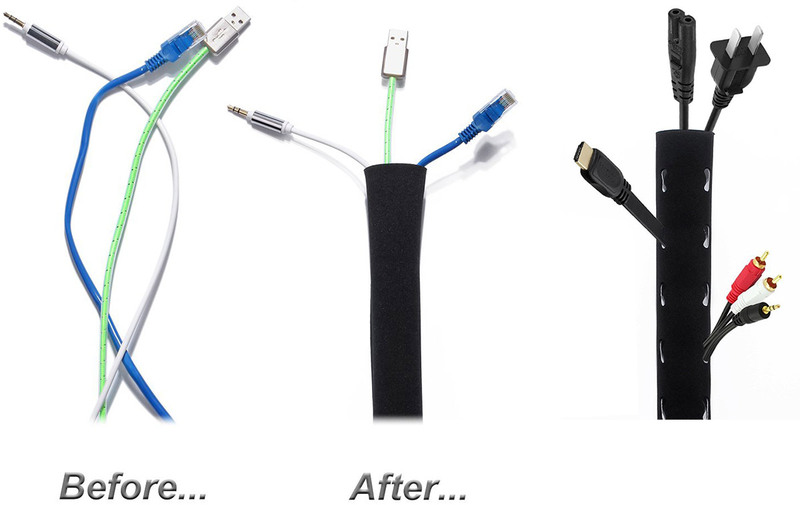 If you don’t dig the simple all in one hole and all out one hold design be sure to look at the JOTO Cable Sleeve that is 1 meter long (3.3ft) and has exit holes ever 2-inches for the entire length of the sleeve. One runs $9.99 with free shipping. The last day order from Amazon with free shipping is December 16th if you want it to arrive by end of day December 24, 2016. Friends don’t let friends buy name-brand HDMI cables at big box brick and mortar stores as you’ll most likely be overpaying at local stores. 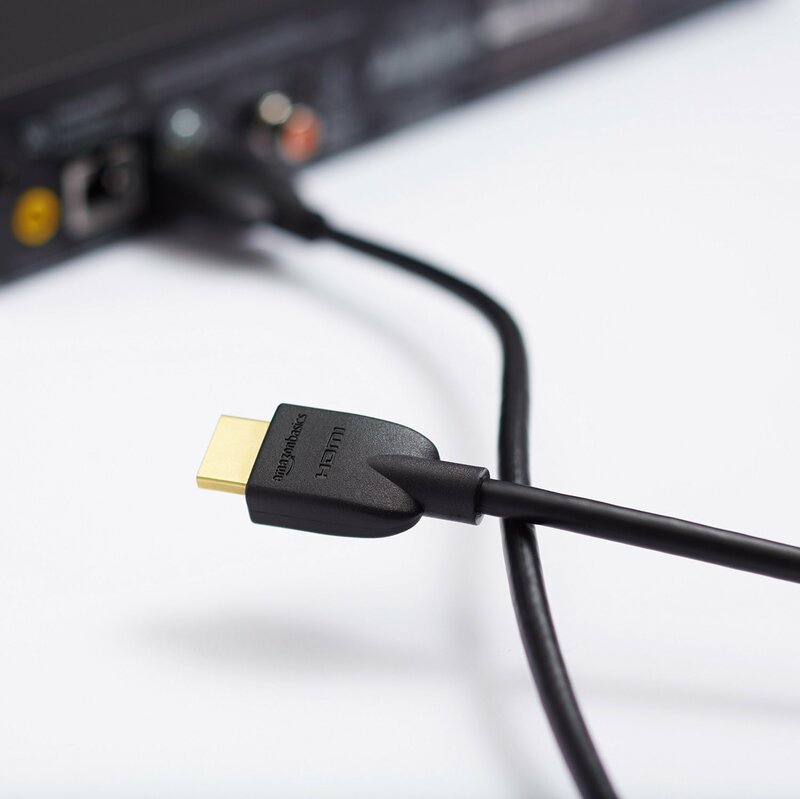 The AmazonBasics High-Speed HDMI Cable with Ethernet meets the latest standards, which means it considerably expands bandwidth up to 18 Gbp for support of 4K 60Hz (2160p) video w/ 8-12 Bit color (four times more clarity than 1080p/60), and supports the wide-angle theatrical 21:9 video aspect ratio. The cable also offers dynamic synchronization of video and audio stream: it can deliver two video streams (dual view) simultaneously and up to four audio streams simultaneously. Even more, the HDMI cable supports up to 32 audio channels and up to 1536 kHz total audio. It is also backwards compatible meaning that it will work with pretty much any Blu-ray players, Fire TV, Apple TV, PS4, PS3, XBox one, Xbox 360 or PC gaming computer that you can think of. What makes this cable even better? It is backed by an AmazonBasics lifetime warranty. Hard to beat that for under $10 and you’ll be a hero if someone needs an HDMI 2.0 cable on Christmas morning and they don’t have one for that new system. Did you know that you can gift games to others on Steam’s digital distribution system? If you know someone is waiting on a game title to come out or loves to try out indie game titles this could be the ideal solution. The best part about gifting a game is that it is great for procrastinators as the game is sent immediately to the giftee at the end of the purchase. 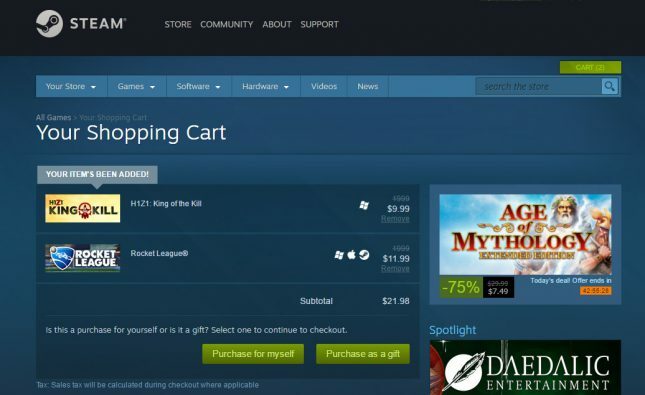 To avoid early gifting, you can add a game to your Steam Inventory at the time you buy it, and then wait to send it to them closer to the holidays. There are 12,218 games in the Steam game catalog, so you might end up being overwhelmed finding the right one to gift! Every series gamer has a pair of gaming headphones, but how many have a proper place to store them? If you have a friend that tosses them on the desk or on the floor this might be an inexpensive gift that they will cherish for years. This mount can handle two gaming headphones if you have room under your gaming surface or one if you wanted to mount it on the side of your desk. The 3M adhesive will ensure the T-shaped mount will hold two sets of headphones without popping off from an accidental tug or knee hit. 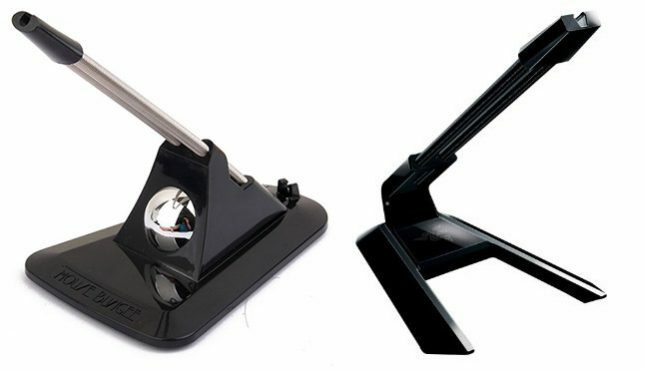 This is an elegant and sturdy solution that i s perfect for PC gamers and even console gamers. Are you a fan of monthly subscriptions that you can cancel at any time? 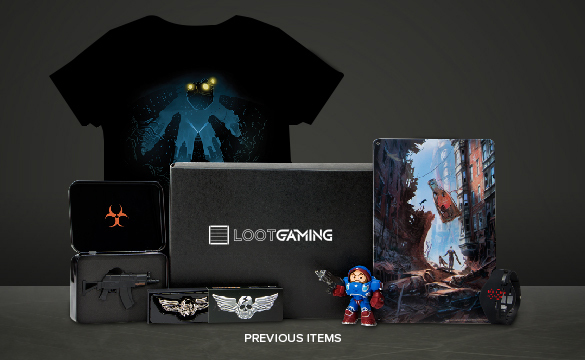 Loot Gaming gives you licensed figures, collectibles, apparel and more from classic, modern and newly released video games for $24.95 a month. The company promises that you get a $60 value of swag in every box. You’ll need to know the shirt size of the person you want to get it for and this month’s featured franchises are Mass Effect Andromeda, Destiny, Ratchet & Clank and XCOM 2. If you order by December 27th, 2016 the box will arrive between December 28th-January 10th. That misses the holidays, but you can always let them know the box is coming. Use coupon code ‘SAVE3’ to save $3 off your first month. Do you know someone that is trying to make it rich by gaming and building up a following on YouTube or Twitch? 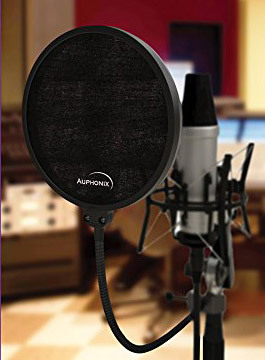 Help them improve their recordings by gifting them a pop filter to give them the ability to record commentary for YouTube videos with super clear audio. Thanks to the double mesh design it will stop popping noises that are most commonly associated with words that begin with “P”, “T” or “B”. You might help a loved one become the next PewDiePie. PewDiePie, whose real name is Felix Kjellberg, made $15.5 million on YouTube thanks to the Bro Army in 2016 and even he uses pop filter. The Mouse Bungee has been around for over a decade and is a gaming accessory that has been trusted by old school gamers for as long as we can remember. The Mouse Bungee is a simple device that keeps your gaming mouse cord off the ground by threading through the raised spring arm. This design prevents cord tangles and stops drag for a smoother mouse swiping experience, increasing competitive gaming performance. You can get models that are close to what Ed Larkin of Mouse Bungee created years ago or get the newer model by Razer that was also designed by him when he joined Razer Group back in 2010. You can’t go wrong either way and it basically comes down to which one you prefer the looks of. Adult coloring books exploded into the scene back in 2015, but still remain popular for grown ups. This inexpensive paperback stocking stuffer (5.25″ x 8.25″) will bring back your inner child and we don’t think the fad is fully over. The Pixel Gamer Coloring Book will help you eclipse adult stress with a crayon by coloring gamer favorites. 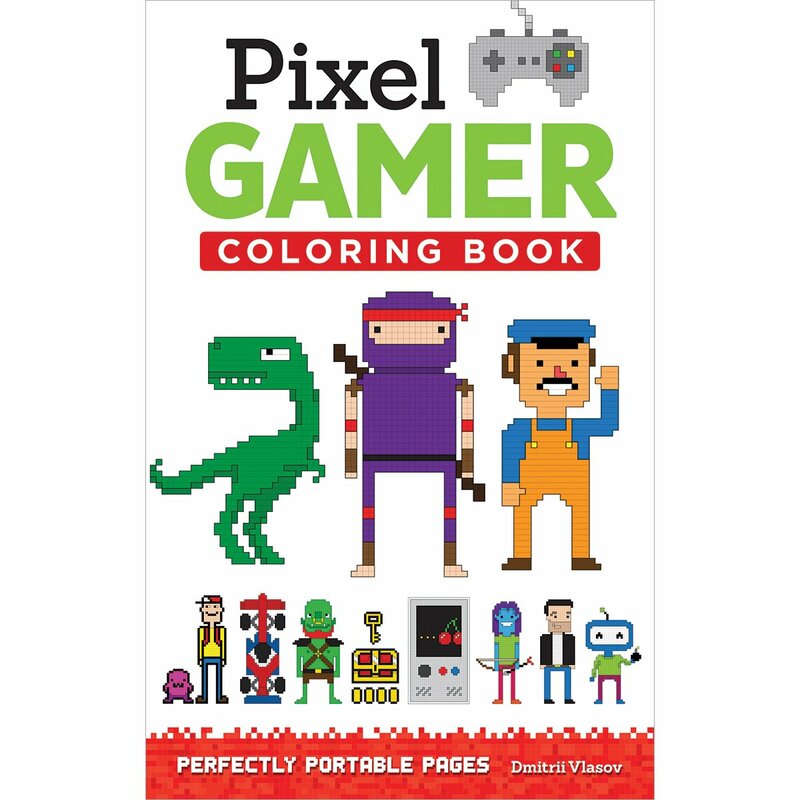 The nice thing about this coloring book is that the 64 pages are perforated, so you can hang it up on the fridge to show off your artwork to the family. If you know someone that can’t get enough Minecraft imagine how stoked they will be with a Minecraft Ore Light. 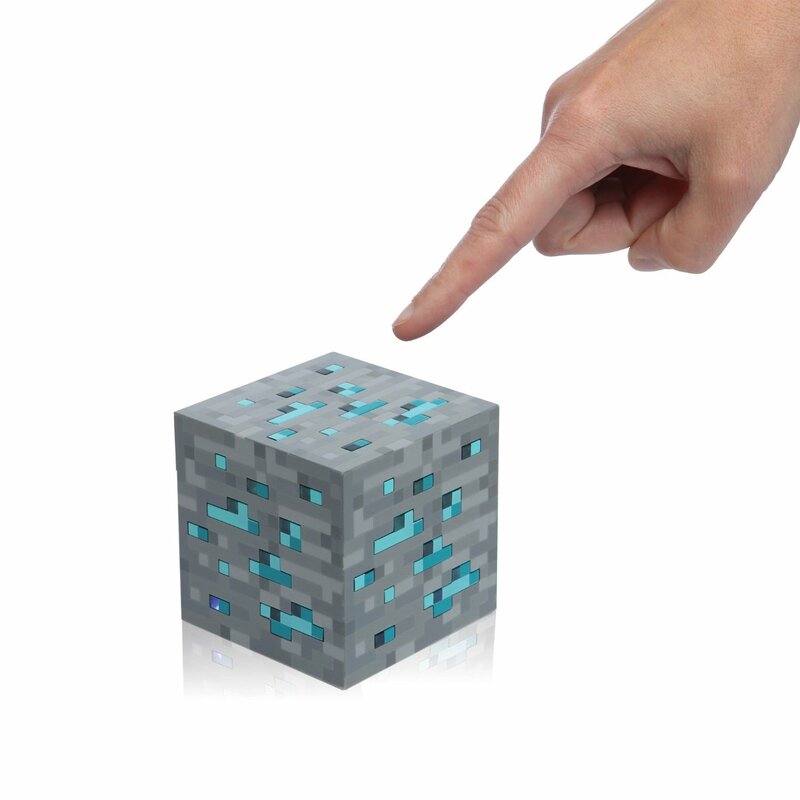 These are officially licensed Minecraft collectibles that measure 2.9″ x 2.9″ x 2.9″ and run off two AA batteries (not included). The LED lights inside have three brightness settings and turn on with just a tap of your finger. It only stays lit for three minutes at a time, but it’s a small inexpensive gift or stocking stuffer that is fun for those over 6 years of age due to the small parts. With an average of 3.097 diamond ore per chunk sized area, it took a long time to find enough ore to mass-produce these. Got a friend that it always upset while gaming because they are horrible? 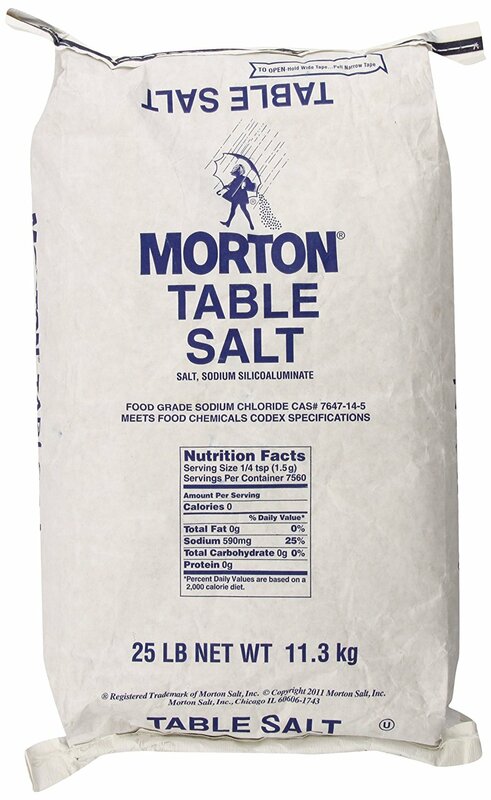 If you are calling someone out for always rage quitting or people are actually telling them that they are very salty… Why not send the bitter gamer a massive 25 pound bag of salt! It only runs $20.83 with free shipping on Amazon and they can use it for other things too. You can always spread it around your home to ward off ghosts and bad spirits, kill a slug colony, put it on your food or pour it in a wound. This is a great filler item for hitting the $49 free shipping mark as this is a gift best delivered for maximum effect. Hopefully some of these suggestions have helped you on your search for the perfect holiday gift and let us know your thoughts in the comment section either way.